The new Moto Mod enables compatible Moto Z smartphones to print 2 x 3 inch pictures from Facebook, Instagram, Google Photos and the camera gallery through the latest Zero-Ink technology from Polaroid. Motorola’s Moto Z smartphones have been getting some attention in the last few years, especially with the addition of the Moto Mods that bring all sorts of interesting functionalities. Announced earlier this year, the Polaroid Insta-Share Printer Moto Mod transforms the smartphone into a Polaroid camera, and it is now available for pre-orders. This Mod does not augment the smartphone camera, which has nice quality already, it just adds the small color printer for the famous instant Polaroid pictures. 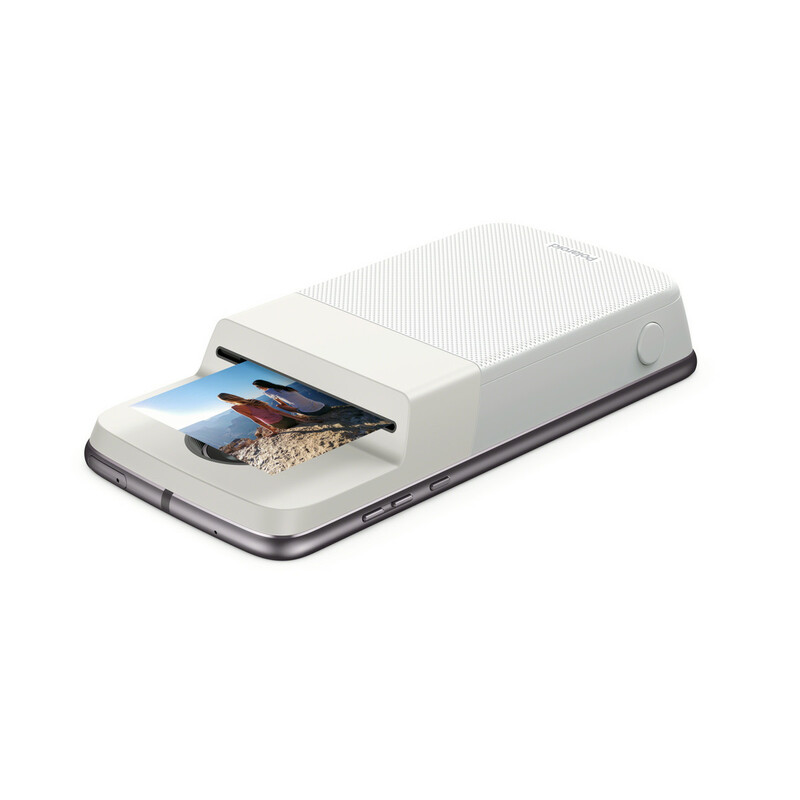 The printer makes use of the latest ZINK Zero-Ink technology that can take pictures from Facebook, Instagram and Google Photos, as well as from the smartphone camera gallery itself, and transforms them into 2 x 3 inch printed Polaroid photos. Even though the small printer adds about an inch to the profile of the smartphone and it might not prove too portable, it can easily be swapped when the function is not needed, thanks to the Moto Z Mod design. The Polaroid Insta-Share Printer Mod can be pro-ordered now directly from Motorola’s official site for US199.99.